Do You Know the True Meaning of Easter? Easter, or Resurrection Sunday as it is also called, is a holiday which celebrates the Lord Jesus’ resurrection that occurred three days after He was crucified upon the cross. 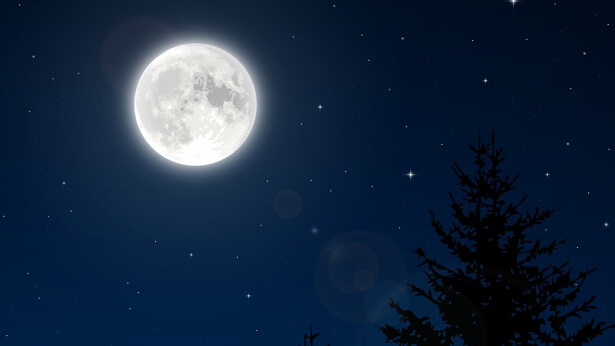 Its exact time falls on the first Sunday following the first full moon after the vernal equinox every year. 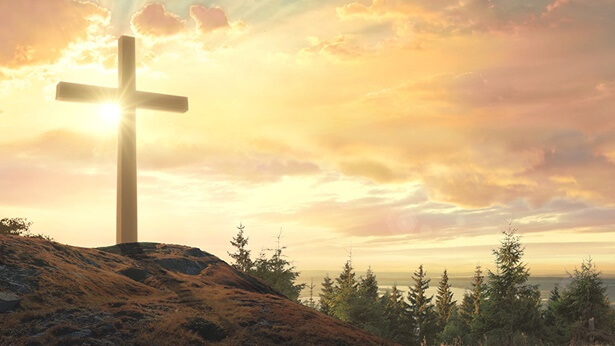 In order to commemorate the resurrection of Jesus and to remember the salvation and hope Jesus brought to mankind, each year from March to April, Christians all over the world hold celebrations on the day of Easter. So while us Christians are commemorating the resurrection of Jesus, do we know why He returned from the dead and appeared to man despite having already finished His work of redemption? And what is the meaning behind His resurrection and His appearance to man? God’s words say: “The first thing that the Lord Jesus did after His resurrection was to allow everyone to see Him, to confirm that He exists, and to confirm the fact of His resurrection. 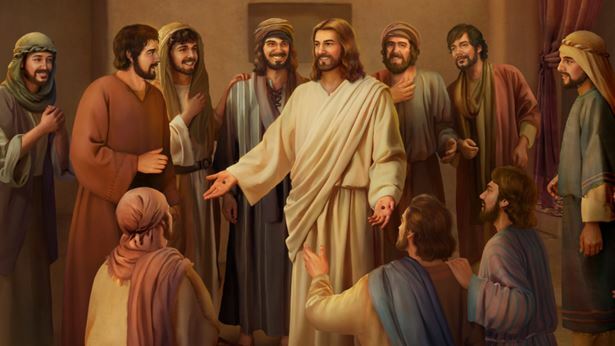 In addition, it restored His relationship with the people to the relationship He had with them when He was working in the flesh, and He was the Christ they could see and touch. This way, one outcome is that the people had no doubt that the Lord Jesus had been resurrected from death after being nailed to the cross, and there was no doubt in the Lord Jesus’ work to redeem mankind. And another outcome is that the fact of the Lord Jesus appearing to people after His resurrection and allowing people to see and touch Him firmly secured mankind in the Age of Grace. 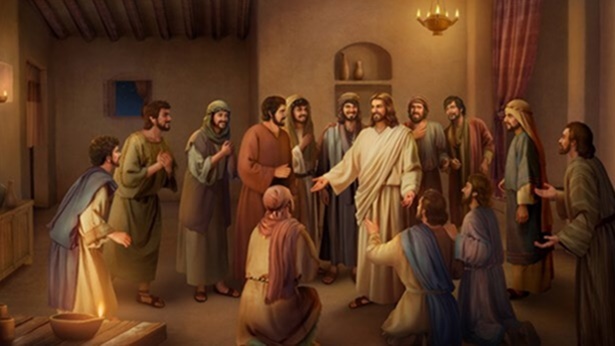 From this time on, people could not return to the previous age, the Age of Law, because of the Lord Jesus’ ‘disappearance’ or ‘desertion,’ but they would continue forward, following the Lord Jesus’ teachings and the work He had done. Thus, a new phase in the work in the Age of Grace was formally opened up, and the people who had been under the law formally came out from the law from then on, and entered into a new era, with a new beginning. These are the manifold meanings of the Lord Jesus’ appearance to mankind after the resurrection” (“God’s Work, God’s Disposition, and God Himself III”). 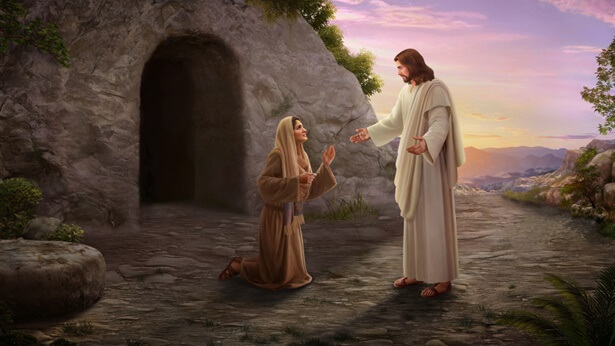 “After the Lord Jesus was resurrected, He appeared to the people He thought necessary, spoke with them, and made requirements of them, leaving behind His intentions, and His expectations of people. 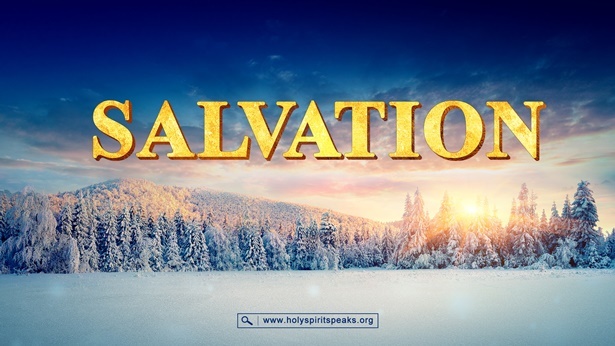 That is to say, as God incarnate, it doesn’t matter if it was during His time in the flesh, or in the spiritual body after being nailed to the cross and being resurrected—His concern for mankind and requirements of people did not change. He was concerned about these disciples before He was up on the cross; in His heart, He was clear on the state of every single person, He understood every person’s deficiency, and of course His understanding of every person was the same after He had died, resurrected, and become a spiritual body as it was when He was in the flesh. He knew that people weren’t entirely certain of His identity as Christ, but during His time in the flesh He did not make strict demands of people. But after He had been resurrected He appeared to them, and He made them absolutely certain that the Lord Jesus had come from God, that He was God incarnate, and He used the fact of His appearance and His resurrection as the greatest vision and motivation for mankind’s lifelong pursuit. His resurrection from death not only strengthened all those who followed Him, but also thoroughly put His work of the Age of Grace into effect among mankind, and thus the gospel of the Lord Jesus’ salvation in the Age of Grace gradually spread to every corner of humanity. Would you say that the Lord Jesus’ appearance after His resurrection had any significance? … His appearance allowed people to have another experience and feeling of God’s concern and care while also powerfully proving that God is the One who opens up an age, who develops an age, and He is the One who ends an age. Through His appearance He strengthened the faith of all people, and through His appearance He proved to the world the fact that He is God Himself. This gave His followers eternal confirmation, and through His appearance He also opened up a phase of His work in the new age” (“God’s Work, God’s Disposition, and God Himself III”). From God’s words, we can see that there is a profound meaning to the Lord Jesus appearing many times to His disciples after He had returned from the dead, and God’s painstaking care and thought is also hidden behind it! Jesus knew that, although those who followed Him at the time had listened to many of His teachings and had seen many miracles performed by the Lord, and they claimed that Jesus was their Lord and that He was the Son of God, yet they had no true understanding of the fact that Jesus was Christ and that He was God Himself. When Jesus was captured by the Roman authorities and was flogged and mocked by the soldiers, many of those who followed Him began to have doubts about His identity, and their faith in the Lord grew weaker and weaker. Especially when the Lord Jesus died after being nailed to the cross, many people were utterly disappointed in Him, and what had begun as doubt became denial of the Lord Jesus. Against such a context as this, if the Lord Jesus had not appeared to man after His resurrection, many of those who had followed Him would no longer have believed in Jesus Christ and they would have turned back to the Age of Law and continued to observe the law of the Old Testament. God scrutinized the innermost hearts of man and understood their weaknesses, however, and He knew that the people were of small stature. The Lord Jesus therefore returned from the dead and appeared to His disciples many times; He spoke with His disciples, He showed to them His spiritual body after the resurrection, and He ate with them and expounded on the Scriptures to them. His purpose in doing all this was to allow those who followed Him to be certain from the bottom of their hearts that the Lord Jesus had truly returned from the dead, that He was still the same Jesus who had loved man and taken mercy on man, that the Lord Jesus was the incarnate God Himself, and that He was the Messiah prophesied in the Bible who would come to redeem mankind. They no longer doubted or denied the Lord Jesus, but instead they sincerely believed in Him and they acknowledged Jesus Christ as their Lord. From this we can see that, by resurrecting and appearing to man, Jesus strengthened people’s faith to believe in and follow the Lord, thus drawing man closer to God. This is one aspect to the meaning of Jesus’ resurrection. Besides this, Jesus appeared and worked in the flesh, He thoroughly brought the Age of Law to an end, and He began the Age of Grace. After He resurrected, Jesus enabled people to see this fact even more clearly, that although the incarnated Jesus Christ had been crucified, yet He had overcome sin and death, He had defeated Satan, and He had completed His work of redemption and gained glory. The Lord Jesus began a new era, brought mankind utterly out of the Old Testament Age of Law and firmly established them in the Age of Grace, thus He enabled them to accept the guidance, shepherding and watering of God in the Age of Grace. In this way, even though Jesus resurrected and ascended to heaven, and He no longer ate, abided or lived with man, man could still pray to and call on Jesus’ name, keep His teachings, follow Jesus with unassailable faith and spread the Lord’s gospel. In particular, after the Lord Jesus resurrected and appeared to the disciples who had followed Him, their faith waxed great, and when it came to spreading the Lord’s gospel or bearing witness to it, they feared no hardship or danger, they were indomitable in their perseverance and they dedicated their all to spreading the gospel, even martyring themselves for the Lord. Ultimately, the gospel of Jesus extended throughout the entire universe and all across the world, and followers of the Lord Jesus continually grew in number until everyone in every household had heard His gospel and it became known to all. After He had returned from the dead, the Lord Jesus appeared to man, He came into contact with them and spoke to them, He expounded on the Scriptures and communed with them, and He ate alongside them, and so on. These deeds allowed those who followed the Lord Jesus to feel His care and concern for man and to affirm that Jesus was indeed God Himself, the incarnated Christ, and these deeds firmly established God’s followers in the Age of Grace. Moreover, Jesus’ work of redemption thereupon began to spread until it had reached throughout the entire universe and all across the world. It is therefore evident that the meaning behind Jesus’ resurrection and His appearance to mankind is so profound as, not only is God’s painstaking care and thought hidden within these deeds, but God’s wisdom and almightiness are hidden within them also! Dear brothers and sisters, let us give thanks to God’s enlightenment and guidance that have enabled us to understand the meaning of Jesus’ resurrection, and for allowing us to perceive within His work once again God’s care and concern for us mankind. Thanks be to God! 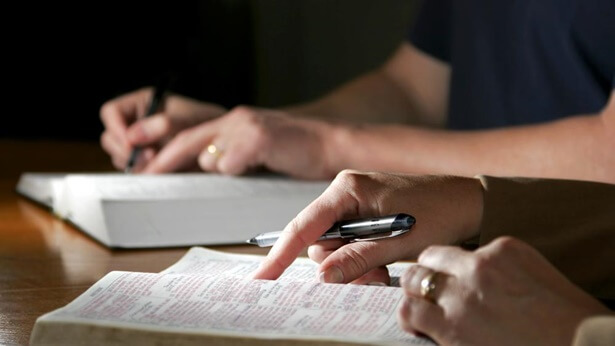 Previous：Mysteries of the Bible: Is It Right to Delimit God’s Words and Work to the Bible? I finally understood that there were two meanings behind the Lord Jesus’ appearance to man for 40 days after His resurrection. One was that He came to tell man that God had brought the Age of Law to a close, and that He had begun the Age of Grace and would lead mankind into the new era. The other meaning was that God did this in order to enable people to affirm that the Lord Jesus was the incarnated God Himself, and thereby strengthen their faith in God. Many people have taken notice of the recent frequent occurrences of supermoons and blood moons, and these astronomical wonders fulfill biblical prophecies—what is God trying to warn us about through these? Throughout each of our lives God will give us many opportunities to gain His salvation, but in order to get it we must first acknowledge and accept it. Otherwise, we will miss the chance just like the foolish virgins did, and we will regret it for eternity. Christian Devotionals: Will the Lord Jesus Still Be Called Jesus When He Returns in the Last Days? 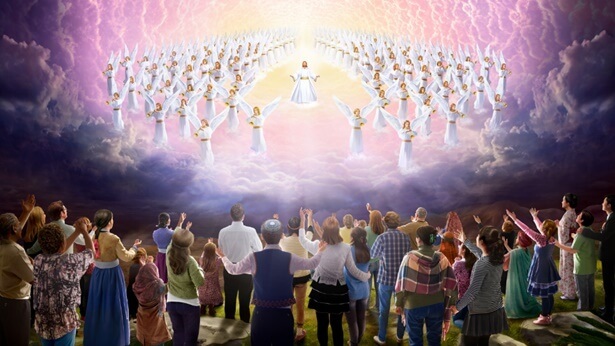 Signs of Jesus’ Return Have Appeared: How Will the Lord Come? Do You Know the True Significance of the Lord Jesus’ Redemption? How Do Wise Virgins Listen to God’s Voice?